The utter insanity of the Jason West and Vince Zampella versus Activision lawsuit continues unabated. The two Call of Duty co-creators and ex-Infinity Ward heads have spoken to Game Informer about their ongoing Activision shenanigans. Or Activinigans, as we like to call them. 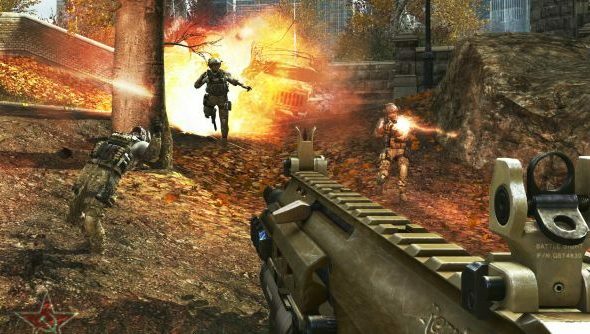 The long and sorry sagabegins in March 2010, when West and Zampella were fired by Activision for allegedly planning to start a new studio with EA. West and Zampella sued, claiming it was Activision’s way of getting out of paying royalties to the pair. Activision are countersuing West and Zampella on the basis that Modern Warfare 3 would have been better – and more profitable – had they been on board. “They say that Modern Warfare 3 would have been a much better game and would have made 700 million more dollars for them and they want us to pay that”, says Zampella in the surprisingly good-humoured interview. “We deprived them of our services by being fired and therefore we owe them money”, continues West. What follows are some astonishing revelations about Activision in a story of corporate espionage good enough to power a hundred Hollywood scripts. How Activision promised West and Zampella a new IP with which they could do whatever they wanted, then regaled. How Activision attempted to hack into West and Zampella’s emails to “dig up dirt”. The trial is set to go ahead on May 29, and it’s certain to be a David-and-Goliath-style battle between West and Zampella and the gargantuan might of Activision. Its outcome could have devastating consequences, too – West and Zampella potentially have the power to stop Activision publishing another Call of Duty title ever again. Which would mean no Black Ops.